Frozen embryos and the anti-abortion activists who love them. 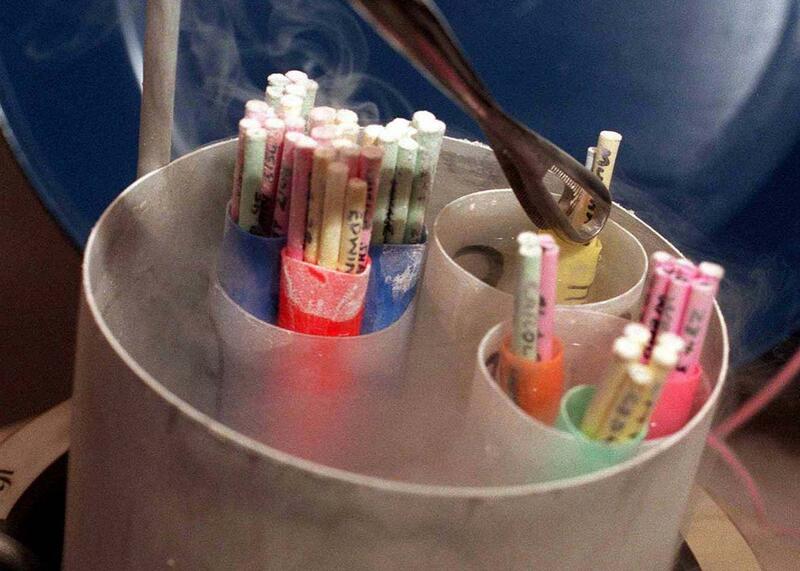 What Should Be the Fate of a Spare Frozen Embryo? There’s one good answer, but anti-abortion activists won’t like it. There are more than 600,000 embryos frozen solid in clinics and labs across the United States, according to the Department of Health and Human Services. These excess embryos are a necessary byproduct of in vitro fertilization. For people who believe that life begins at conception, these embryos raise complex questions of logistics, priorities, and ethical consistency. Pro-life activists can’t condemn IVF outright without condemning the many parents who’ve turned to IVF amid fertility struggles. But the reality of IVF-related embryo production and destruction leaves few attractive options for the anti-abortion set. That’s why, today, the movement is zeroing in on more specific cases that it can win with clear-cut moral authority—namely, the fate of embryos produced by now-estranged couples. In the early days of IVF in the ’80s, mainstream anti-choice groups didn’t make much noise about it a procedure that was helping couples have children; IVF’s purpose and its benefits seemed to outweigh the ethical quandaries it raised. But when scientists first figured out how to obtain human stem cells from embryos in the ’90s, the prospect of embryonic stem-cell research provoked political outrage and led to new discussions about just what was going on with those extraneous embryos produced during IVF. As president, George W. Bush was a firm advocate for embryo-kind. In a 2005 press conference, he stood with parents who’d conceived their children by adopting frozen embryos, which he called “our society’s most vulnerable members.” He went on: “The children here today remind us that there is no such thing as a spare embryo. Every embryo is unique and genetically complete, like every other human being.” In 2001, Bush limited federal funding for embryonic stem-cell research to embryos that had already been destroyed. All embryos created after his proclamation—thousands of which were destined for destruction by IVF clinics anyway—could not be used for research funded by tax dollars. Time noted that many U.S. scientists moved their research projects abroad after Bush’s decree. Barack Obama lifted the ban in 2009 and was promptly sued by Mary Scott Doe, a “frozen embryo symbolizing all existing frozen embryos.” The 4th U.S. Circuit Court of Appeals affirmed that Doe had no standing, since she was an “amorphous” class that had suffered no actual harm—just hypothetical injury. McQueen has named the embryos she hopes to recover in her case—Noah and Genesis—and she founded an organization called Embryo Defense, whose logo looks like a little antivirus icon with a flesh-colored fetus in the middle. Its education efforts are preoccupied by the case of Sofia Vergara and her former fiancé Nick Loeb, who is currently suing the actress for access to the embryos they froze together. “I’ve always believed that life begins at conception,” Loeb has said. An actual frozen embryo looks nothing like the little baby on the Embryo Defense logo. An embryo is usually frozen between one and six days after fertilization, when it becomes a blastocyst, a clump of a few dozen cells. For reference: At this point in the embryo’s development, a vaginally inseminated egg would just be leaving the fallopian tube, reaching the uterus, and preparing to embed in the uterine wall. It would take another week before the embryo became completely embedded. Embryo Defense favors the phrase embryonic human beings and promotes the concept of “a father’s right to choose” to implant the embryos even if the woman whose eggs were used doesn’t agree, as opposed to Gadberry’s side, which argues that he has a right not to procreate. Other anti-abortion advocates use the phrase “pre-born children,” which raises questions of continuity: It seems that someone who really believed embryos were people would object to them being frozen in the first place and take equal umbrage at married couples who don’t implant all their embryos. In a 2008 study of more than 1,000 fertility patients with frozen embryos, 20 percent of patients who didn’t want to have any more children said they expected to keep their embryos frozen forever. It’s worth asking whether being frozen in perpetuity is any better than being destroyed. In their Missouri amicus brief, anti-abortion groups maintained that courts deciding what to do with embryos locked in a divorce battle should rule in the best interest of the embryos, whose primary interests are to grow into fetuses, then babies. “No other right is of any avail if a human being is not around to invoke it,” they wrote, in a seeming concession that an embryo is not, in fact, a human being. There are alternatives to freezing, of course. Embryo adoption is a favorite option proposed by many anti-choice groups, though the number of frozen embryos that would reasonably be adopted by people fertile enough to implant them is awfully small. Compassionate transfer, which involves implanting the extra embryos into the patient’s uterus at a time in her cycle when she’s unlikely to get pregnant, is another choice. Though this basically amounts to destroying the embryos, some anti-abortion advocates believe that, like the rhythm method, compassionate transfer is close enough to a natural expulsion of a fertilized egg that it’s ethical enough. Otherwise, there aren’t many embryonic options that would satisfy the anti-choice set. In December, Ohio Republicans grew incensed that abortion clinics were putting aborted fetal tissue into an incinerator, as is standard practice for most medical waste, and proposed that women be forced to sign a form designating whether their aborted or miscarried fetuses should be buried or cremated. Could IVF embryos be consigned to the same fate? For a school of thought that imbues fertilized eggs with personhood, scientific research doesn’t hold as much abstract potential for life as an embryo frozen solid for the foreseeable future. It’s an imperfect choice, but absent any parent fighting in court for the ability to implant the thing, it’s the best one.